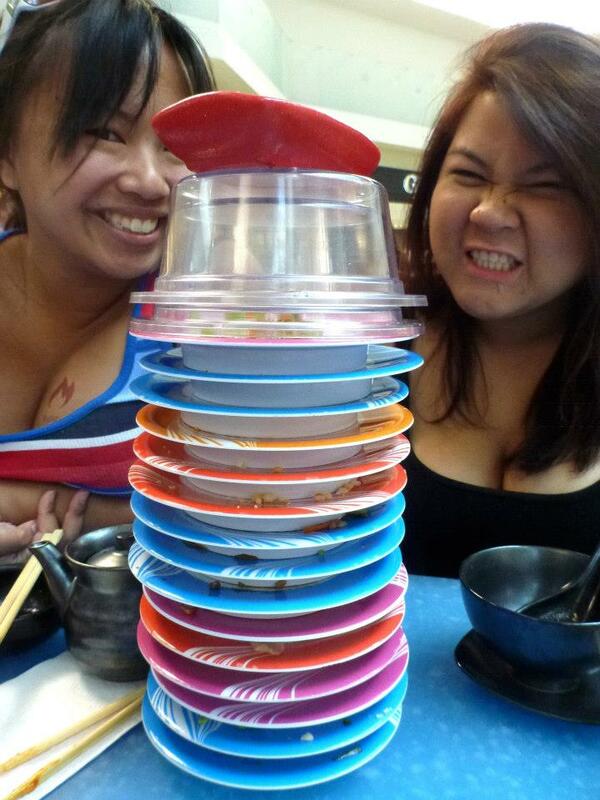 Anyways, HERE I present you the first Sushi Conveyor Belt in Florida, or at least the only one I know of. Wasabi. I've been to the ones outside of the state and loved the idea, but sadly Florida is a little behind with the new concept of restaurants but I'm glad it's finally here! It's located inside of Florida mall in Orlando so it may be a bit of a drive but if you're in the area this place is a must TRY. 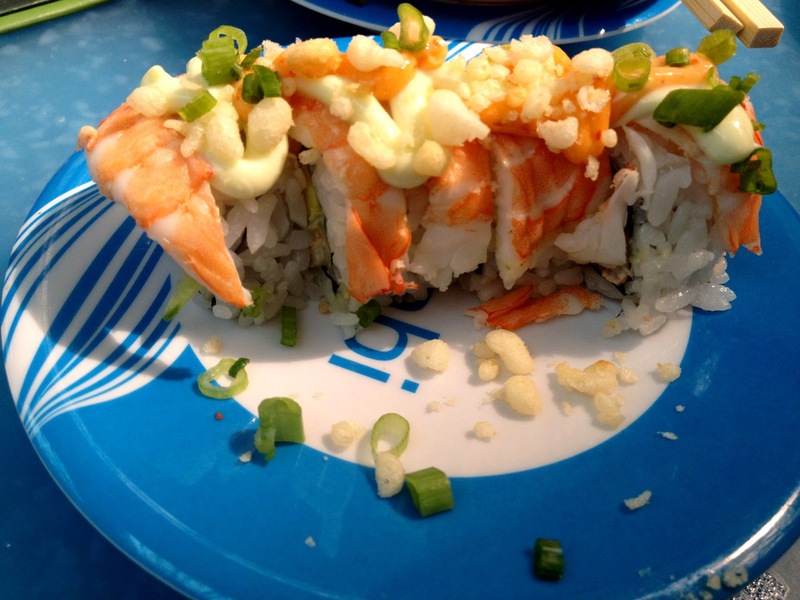 It's located near the food court, you'll won't miss it due to the fascinating trail of sushi. The price range is around $2-5 for a dish (each color represent a $), it does add up so be super careful! 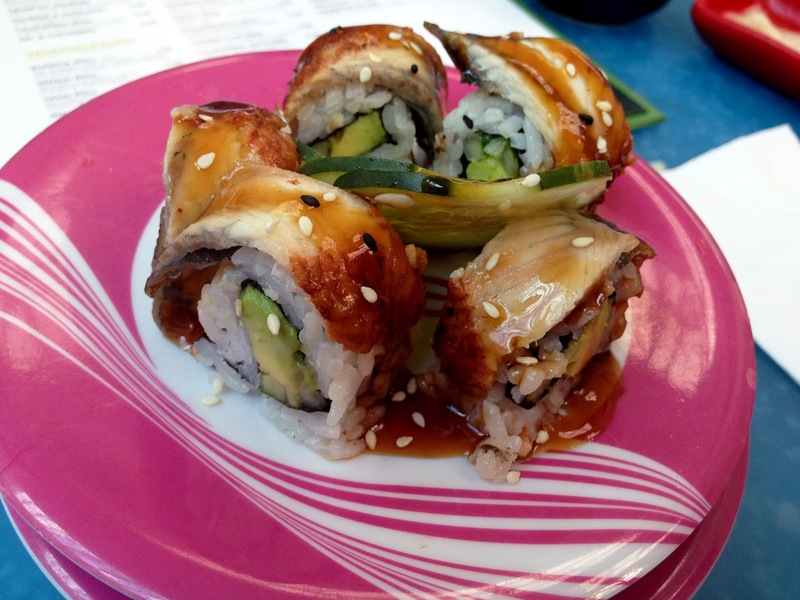 They have all sorts of sushi from cooked, raw, and even sashim (Kitchen food is also available). Even though the purpose of this conveyor belt is to get you in and out it gets pretty packed. There are tables and also a bar area to sit. I had to wait for a few minutes until a table cleared out on a Sunday. If I had to rate the food here I would probably rate it 3.5 out of 5. The concept of the conveyor is pretty darn awesome but the quality of the food isn't as great as a Japanese/Sushi restaurant, but it is pretty good compared to prepacked sushi. The price can become a little pricey especially compared to the prices I had at other conveyor sushi restaurants, but you have to keep in mind it's located in a mall. I would REALLY recommend Wasabi to others because it's such a fun way to eat sushi. 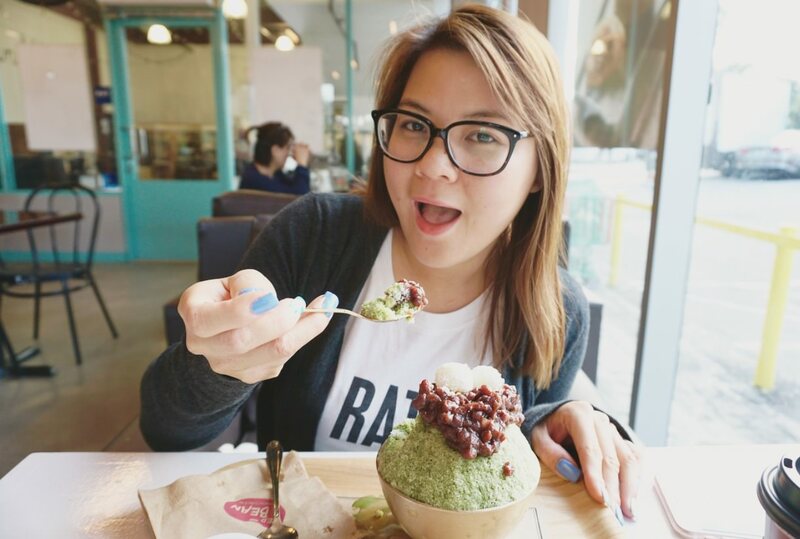 It's fast and easy to eat without too much of a hassle of going to a "real" traditional restaurant. You grab what you see on the belt and enjoy your meal. I would love to go back but since it's too far I'll save it for the next time I'm in Orlando. Wasabi is a must visit :D It's a modern twist to a all time favorite. The restaurant open and located near the food court and Starbucks. 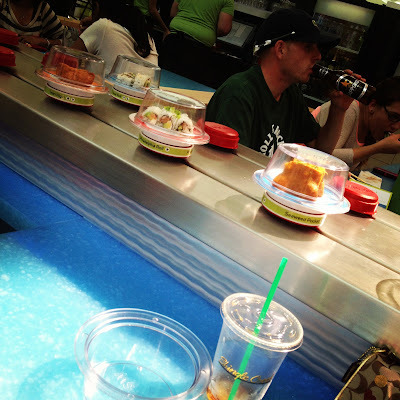 You can feel the exciting new concept just by watching the sushi past you one by one via conveyor belt. 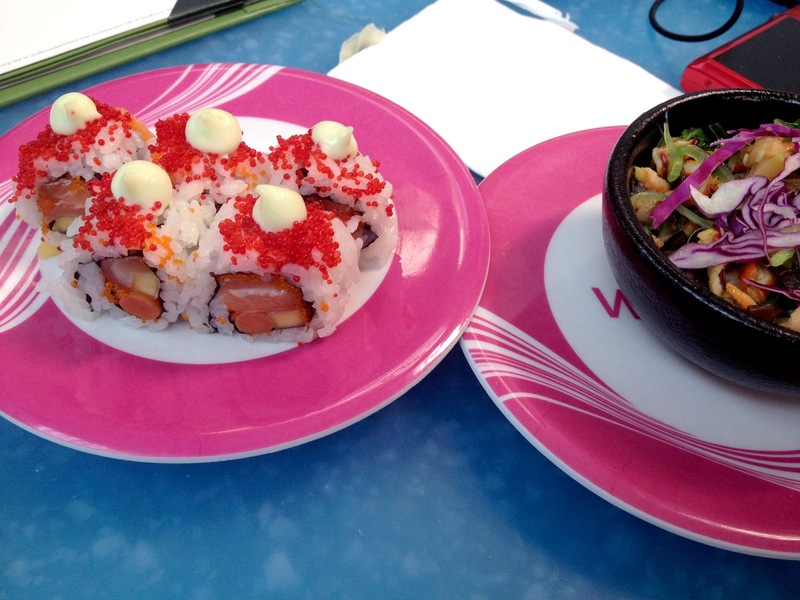 Amazing place, the conveyor belt sushi isn't new but it's new to Florida. Enjoy!